View Galleries : Serena Bowles has 802 galleries and 22318 images online. These pages have been viewed a total of 12855030 times. View Guestbook : 170 messages. Most recent on 07-Jul-2014. Here are some of my photos, I hope you enjoy them. You are welcome to leave comments, and please vote for any images or galleries that you particularly like. If you want to find out a little more about me, have a look at my website at www.underwater-girl.co.uk. The interest in photography runs in the family - check out my mum's galleries at www.pbase.com/maria263, and my sister's at www.pbase.com/little_sis . All photographs are taken by and copyright to Serena Bowles unless otherwise stated. If you wish to use any of these images, please contact me at underwater_girl@hotmail.com. Royalty free or licensed use can be arranged. 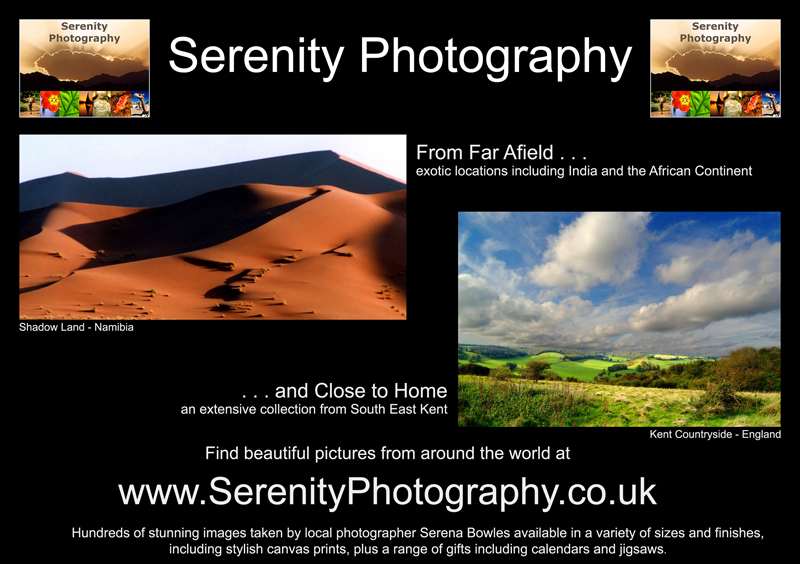 Some of my images are now for sale as posters, canvas prints, or digital files sold royalty free at Serenity Photography. I also have thousands of images available for stock use in my stock library - just click to search through them. If there are any images from this site which are not available elsewhere, but you would like to purchase, then please do get in touch. Posters, canvas prints and calendars are all available from SerenityPhotography, while my book O is for Overland - a spiffing good read - is available from www.underwater-girl.co.uk.